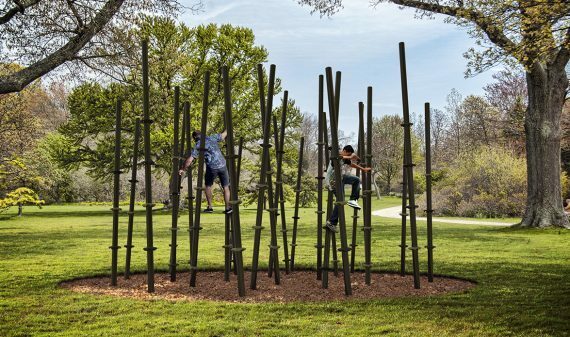 A beautiful free-standing sculpture composed of striking geometric angles, the Climbing Wall is both imposing and impressive: a massive structure 12 feet high, 15 feet wide and 24 feet long. 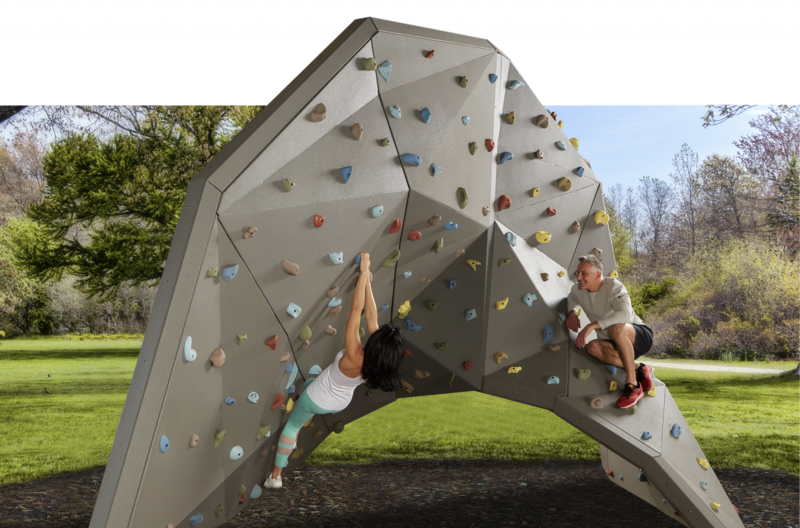 One of the highest bloc type outdoor climbing wall, it contains more than 450 polyester resin grips of various shapes and sizes and offers both positive and negative inclinations, perfect for the experienced and recreational climber alike. 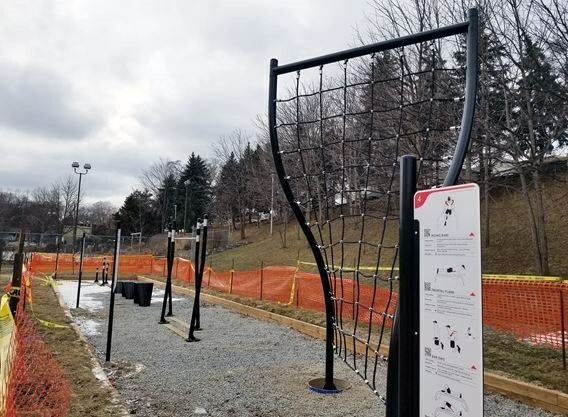 With six paths offering three difficulty levels from beginners to experts, the Climbing Wall is equipped with a flexible non-slip coating. 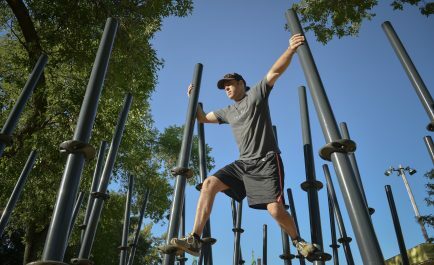 The development of this urban structure follows a great demand for multigenerational equipment in public parks. 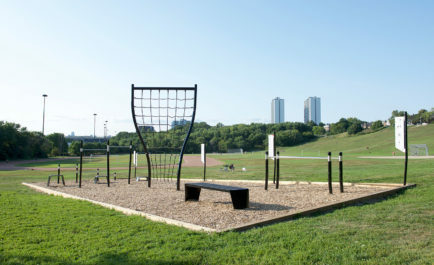 It is designed for all ages, safe, accessible and perfect for fitness and recreational users alike. The need for flexibility is why we equiped our Wall with six courses offering three levels of difficulties from begginners to experts. Accessible from all sides, our boulder can easily fit more than 10 climbers simultaneously. The structure is made entirely of aluminium, providing great proporties in terms of resistance to impact, corrosion and severe weather. The surface finish is made of polyurethane, by far the greatest material on the market, offering excellent adherence, protection against scratches and is available in three different colors. When choosing TREKFIT, you opt for uniquely designed and ingenious products that attract a variety of users from athletes to families, walkers and artists alike. Don't hesitate to contact our team to discuss your projects.